BOSTON - In the 14 years since the MIAA created Division 3 for boys lacrosse every final has featured either Dover-Sherborn or Cohasset except for the first final in 2003. That was won by Ipswich by a goal. 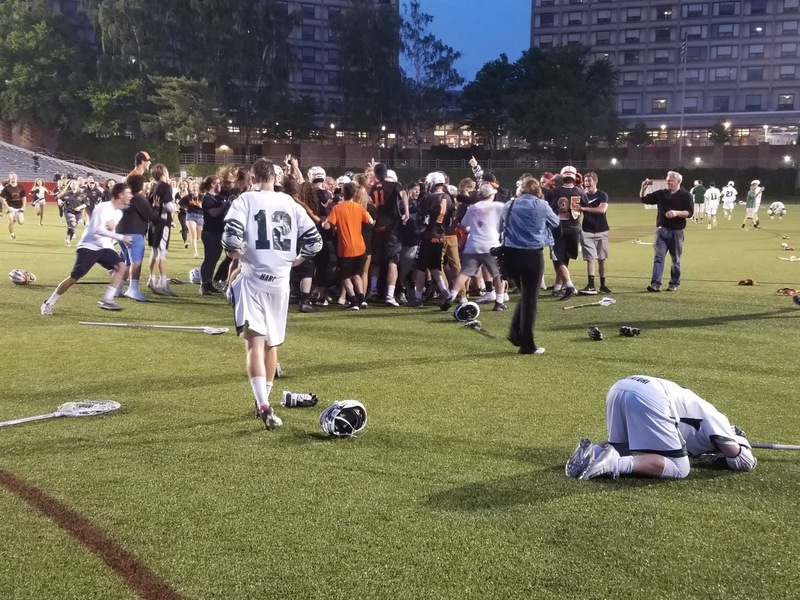 On Saturday evening, the Tigers once again found a way to win as they battled back from one goal down midway through the fourth to defeat Grafton 8-7 and win the Division 3 crown at Nickerson Field. Down one with 5:12 to goal the Tigers found that boost they needed to get by the Indians. Kilian Morrissey scored to tie the game and Pat Gillis added another 90 seconds later to put Ipswich ahead with just under four minutes left. Ipswich continued to make possessions count down the stretch as Tommy Ginolfi scored his second of the game with 1:58 left to give Ipswich a two-goal cushion that it would manage to cling to in the game’s final seconds. Morrissey finished with a hat trick in his final game in the black and orange. Neither team ever really took control of the game. Grafton opened the scoring 1:07 into the game and Ipswich responded less than two minutes later, and the game ebbed and flowed similarly throughout. The Grafton offense was led by a dominant performance from senior Brendan Coates. The senior had four goals for the Indians and was in control on the attacking end of the field whenever he had the ball in his stick. Anthony D’Angelo was a jack of all trades for Grafton with fives assists and a goal. The game took a slow turn in the third quarter as neither team scored as the defenses locked it down before giving away to the manic fourth quarter. Both goalies were sensational. Matt Nicalek turned aside 10 shots in cage for Grafton while Aidan McAdams stopped eight, including three in the fourth quarter, for the Tigers. The championship win was the cherry on top of a magical season for the Tigers after two straight years of almost getting to the top. 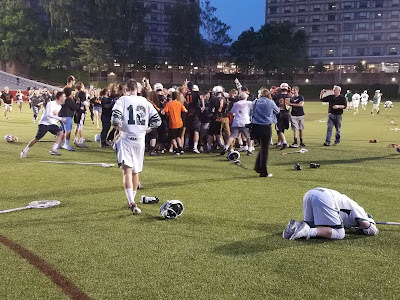 Two straight North sectional titles in 2015 and 2016 ended in defeat in the state semifinals, including a 10-9 double overtime loss to Grafton in 2015. Now, for Morrissey, Ginolfi, and the rest of this senior class, the mountain has been summited. Alan Rotatori has turned Grafton into one of, if not the top, division three program west of 495. His Indians have been among the state’s most consistent, and talented teams for years, but for the third straight year the season ends in the final game but without the top trophy. Seniors like Coates, D’Angelo leave behind a legacy of success and a cumulative record of 72-24 in their four years wearing the green and white. More than that, they’ve built a culture of winning in Grafton that should continue to grow in the future.